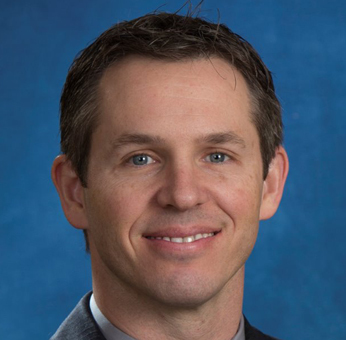 Jeremy Willett is an experienced trial and appellate lawyer, who focuses his litigation practice in the areas of professional liability, including the defense of physicians and lawyers. He has also worked on complex general liability and environmental cases. He has tried professional liability cases to verdict involving wound care, dental, neurosurgical, OBGYN, family practice, complex surgery, and emergency medicine matters. In July of 2010, Mr. Willett left Hinshaw & Culbertson LLP to become a founding partner in the law firm of O’Neill McFadden & Willett LLP. 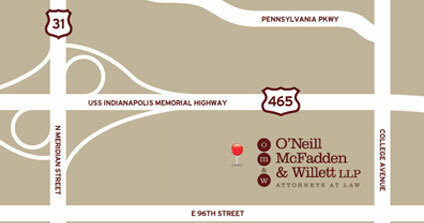 Since its inception, O’Neill McFadden and Willett LLP has steadily grown in size and in the number of clients, becoming one of the most trusted law firms in Indiana. Connell v. Mohideen, Porter Superior Court, Valparaiso, Indiana, May 15 – May 24, 2017. Defense Verdict. Perez v. Hu, Lake Superior Court, Crown Point, Indiana, October 31 – November 4, 2016. Defense Verdict. Estate of Jerkan v. Cortez, Lake Superior Court, Hammond, Indiana, August 9-16, 2010. Whether an emergency medicine physician’s treatment of a patient with necrotizing fasciitis was negligent. Defense Verdict. Guenther v. Bowers, Lake Superior Court, Hammond, Indiana, February 22-March 1, 2010. Whether defendant gynecologist’s alleged failure to perform total abdominal hysterectomy resulted in a missed diagnosis of cervical cancer. Defense Verdict. Greer v. Scott, Lake Superior Court, Hammond, Indiana, January 11-15, 2010. Whether a general surgeon and family practice doctor’s alleged failure to order DVT prophylaxis caused the decedent to develop a pulmonary embolism. Plaintiff Verdict. Durazzo v. Angelo and Anglis, LaPorte Superior Court, LaPorte, Indiana, July 27, 2009. Whether the allegedly negligent treatment provided by two separate dentists was the cause of oral complications. Dismissed by Plaintiff on first day of trial. Estate of Aiken v. Cooper, Marion Superior Court, Indianapolis, Indiana, December 9-15, 2008. Whether neurosurgeon’s alleged failure to diagnose and surgically treat an epidural abscess caused the plaintiff to become a paraplegic. Defense Verdict. Custer v. Wolfe, LaPorte Superior Court, LaPorte, Indiana, March 13-17, 2007. Whether an allegedly negligent review of abdominal x-rays caused an increased risk of harm to the Plaintiff. Miller v. Yedlowski, 916 N.E.2d 246 (Ind.Ct.App. 2009). Successfully reversed the Trial Court’s denial of defendant’s motion for summary judgment. Appellate Court instructed the Trial Court to enter summary judgment on behalf of defendant. Blaker v. Young, 911 N.E.2d 648 (Ind.Ct.App. 2009). Successfully affirmed the Trial Court’s entry of summary judgment on behalf of the defendant. Mr. Willett was featured as one of Indiana’s “Rising Stars” in the 2014 Super Lawyers publication. In 2018, Mr. Willett received this recognition again. This honor is by invitation only and is extended exclusively to those individuals who exemplify superior qualifications, trial results, and leadership as a lawyer under the age of 40. 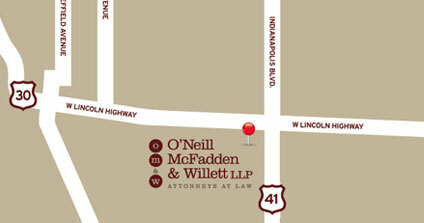 Mr. Willett is a founding member in the litigation boutique law firm O’Neill McFadden & Willett LLP. Prior to founding the firm, Mr. Willett practiced law at Hinshaw & Culbertson LLP, where he focused primarily on professional liability defense. Mr. Willett started his legal career as a clerk for the Honorable Judge John Pera and for the Environmental Protection Agency. He then worked at CNA Insurance and Colliau, Elenius, Murphy, Carluccio, Keener & Morrow in Chicago, Illinois. Prior to his legal career, Mr. Willett studied abroad in Germany and Austria. He was chosen to receive an Educational Fulbright award to teach English in Vienna, Austria. In 2007, Mr. Willett was elected to the Lake Central High School Athletic Hall of Fame. Additionally, Mr. Willett was honored to become a board member of South Shore Arts which serves the community with youth outreach programs, cultural events, and funding for arts in Northwest Indiana. Mr. Willett is a member of the Indiana Bar Association and is licensed to practice law in both state and federal courts in Indiana. Mr. Willett resides in Crown Point, Indiana with his wife, Jennifer, and sons, Avery and Owen. His hobbies include hockey, soccer, and performing music with his band.